Malaria is transmitted to humans by the bite of infected female mosquitoes. Those like me, who have been exposed to malaria and survived it can’t forget the lifetime-experience unique ‘sensation’ it exerts on its victims. Nowadays, I can’t understate the scare that tiny insect inflicts into me whenever I visit my home country Uganda. The World Malaria Report 2011 (WMR) estimates 655,000 people were killed by malaria in 2010 – 5 people every 4 minutes. About 91% of deaths were in African (mainly sub-Sahara Africa), and about 86% were children under 5 years of age. By the time you finish reading this article more than 5 people will have died of malaria. I believe this is a gross underestimate because the WMR’s survey is based on only reported cases. The WMR states that malaria is an entirely preventable and treatable disease, provided that currently recommended interventions are properly implemented: (i) vector control through the use of insecticide-treated nets, indoor residual spraying and, in some specific settings, larval control; (ii) chemoprevention for the most vulnerable populations, particularly pregnant women and infants; (iii) confirmation of malaria diagnosis through microscopy or rapid diagnostic tests for every suspected case, and (iv) timely treatment with appropriate anti-malarial medicines. The current most effective drugs against malaria are derived from the Chinese plant, Artemisia annua. The worrying problem is that currently there is no Plan B – i.e. if the Artemisia derived drugs fail, there is no alternative, for now! In 2009 researchers found that the most deadly species of malaria parasites, Plasmodium falciparum, spread by mosquitoes, were becoming more resistant to these drugs in parts of Western Cambodia (BBC, April 2012). Recent research has revealed that resistance to the front-line treatments for malaria is increasing, and hence the effort to eliminate malaria is being compromised. The longitudinal study (2001-2010) measured the time it took the artemisinin drugs to clear parasites from the bloodstreams of more than 3,000 patients in Burma. They found that drugs became less effective and the number of patients showing resistance rose to 20% (Phyo, A.P, et all, April 2012). The scientists cannot tell if the resistance has moved because mosquitoes carrying the resistant parasites have moved to the Burmese border or if it has arisen spontaneously among the population there. Their main concern is that the spread of drug-resistant malaria parasites within South East Asia could overspill into sub-Saharan Africa, where most malaria deaths occur, leading to an epidemic resulting in millions of deaths. BBC (6 April 2012) reports Prof Nosten to have stated that the current spread of resistance could be similar to what happened in the 1970s with chloroquine, a drug that was once a front-line treatment against the disease. When chloroquine resistance reached Africa in the mid-970s it translated into a large increase in the number of cases and the number of children who died increased dramatically. WRM’s first (i) intervention focuses on indoor interventions and only ‘in some specific settings, larval control’. Evidently, it attaches insignificant emphasis on outdoor intervention. I lived on the shores of river Nile about 50 miles from its source for 20 years. The river’s shore is characterised by a thicket of papyrus – a perfect habitat for tsetse flies and mosquitoes. In the early to mid-1970s, the Ugandan government pursued a strategy of eradicating tsetse flies particularly in areas bordering the Nile. The strategy which was implemented through sustained space spraying of DDT achieved two results – the primary objective of containing the tsetse flies and a previously unplanned by-product of containing mosquitoes (malaria). The space spray was stopped in the late-1970s due to both financial constraints and the debate on the side-effects of DDT. This was followed by a surge in malaria cases at a locally based College. During the years that followed, the College closed down earlier than the scheduled Easter holidays due to malaria epidemics. Easter time in Uganda is a blossoming to early harvest period. When one goes to weed the crop, mosquitoes welcome them. When one goes to harvest a young crop, they find mosquitoes feasting on it. 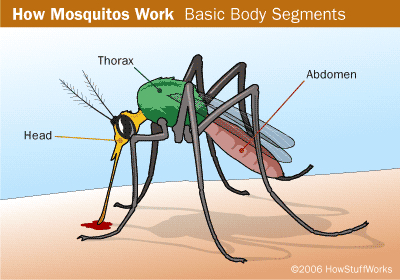 Effectively, when one ‘disturbs’ the mosquitoes they become their next victim. My conclusion is that outdoor space spraying particularly during the rainy season to destroy the adult mosquito and larva, in addition to the indoor intervention is a more effective measure of containing malaria than the WMR’s current ‘indoor’ strategy emphasis. The cited side-effects of DDT are: (i) potential to cause human cancer (ii) damages the liver (iii) temporarily damages the nervous system (iv) damages the reproductive system and reduces reproductive success. One wonders which one is the worse devil – the current incidents of malarial death, more than one person per minute or the potential side effects of DDT! Could the conclusion be linked to the fact the malarial incidents are almost non-existent in the Northern Hemisphere, hence balancing the argument against DDT? The authors of the recent research cannot tell if the resistance has moved because mosquitoes carrying the resistant parasites have moved to the Burmese border or if it has arisen spontaneously among the population there. This has led to concern that the spread of drug-resistant malaria parasites within South East Asia could overspill into sub-Saharan Africa, where most malaria deaths occur, leading to an epidemic resulting in millions of deaths. My argument is that the incidences of resistance to malaria are more of a localised-syndrome propagated by poverty, and less of a trans-continental transfer, which the academic would like us to believe. The official government health centres, where qualified people are and where medicine is free or subsidised have limited, if any, drug stocks. In some instances, they are quite a distance from the patient with implications for transport costs. The private clinics or missionary run hospitals which have qualified medical people come at a premium. Therefore, many patients’ decisions are dictated by the financial resources at their disposal. Financial constraints impact on malarial resistance to drugs in two major ways: – through drug abuse, and counterfeits. Drug abuse comes in form of unqualified-diagnosis, unqualified-prescription and under-dosage. In some cases, the ignorant parents themselves diagnose the malaria for their children to avoid incurring fees associated with the professionals’ diagnosis. Fortunately enough, for the adults, if one has had several bouts of malaria, it is quite easy to diagnose it on themselves when it ‘strikes’ again. There are many places where one can get cheap off-the-shelf treatment. Taking Uganda as an example, many shopkeepers (not clinics), particularly in rural Uganda stock anti-malarial drugs, which they can within their unprofessional ignorance prescribe, sell and administer. In some cases, the parents themselves diagnose, prescribe, buy and administer the drugs. This is a short-cut many poor people are willing to take to minimise treatment costs. The above unqualified diagnosis and prescription potentially leads to one of the two cases of under-dosage. Firstly, the unqualified prescription could be an under-dose constrained by money. Secondly, even if the initial right prescription is given, treatment can be withdrawn (to save the drugs) before the dose is completed when the patient shows signs of recovery. In both cases, rather than kill the parasites entirely it enables them to recover in a drug environment, mutate and gain some resistance. Then there is the growing problem of counterfeits. Counterfeits are cheap – cheap because they don’t have the full concentration of the drug. Therefore, the full dosage of a counterfeit is effectively an under-dose. Poor people will opt for the counterfeit simply because it is a cheap alternative. Resistance to drugs also comes through multiple infections. Take an example of a patient who is on a full course of medication. If that patient gets infected by the parasites during the final stages of the anti-malarial dose, the new parasites enter the victim in an anti-malarial environment. Proof of malaria cure can only be confirmed by a malarial diagnostic test taken at the end of dose. But again this test comes at a premium. While the patient may have no choice with the initial test, because it is between life and death at the time, they might be reluctant to release money for the confirmation test. In the above scenario, the post-treatment test would reveal the presence of parasites, and treatment would be prolonged. If there isn’t a test, the second strain of malaria will develop, which is presumably more resistant because of having incubated in the presence of the drug! The mutation will of course not take place in one incident and one person but over a period of time. The mosquito transmits the parasite from a person who has abused the drug, bites another victim who also abuses the drug etc – this carries on for a while enabling it to mutate. That is why I believe that incidences of resistance to malaria are more of a localised-syndrome propagated by poverty, and less of a trans-continental transfer as the academics would like us to believe. Perhaps the world now needs ‘divine’ intervention to eradicate malaria. If temperatures in the Northern Hemisphere increase to levels which can sustain mosquito breeding, I strongly believe that could mark the beginning of the end of malaria – malaria will be eradicated from the world, because the Northern Hemisphere’s strategy won’t be treatment, but eradication! Well written. This debate of using products in third world countries that have been banned around the world before,is very important. Among other things that are different in third world countries are climate, lack of regular medical check ups to ensure that DDT is only killing insects and not the people too, either directly or indirectly because of drug interaction with DDT – such as when other drugs are taken with DDT present in the body, ability to monitor and keep environmental safety standards etc. So the question is this: Without the rest of the world using DDT, how can the third world be sure that if DDT happens to produce side effects that are catastrophic later on, will the developed countries invest so much money to find the cure? Or will we have another “Sickle cell anemia” case? 1. DDT kills the good insects as well as the bad. For instance, it kills virtually all species of aquatic insects that are the primary food source for fish. On land, it kills virtually all insects, such as bees, that pollinate plants. In short, it can disrupt food supplies. 2. DDT and its break-down product, DDE, last for decades in soils and streams. Once applied, it can remain viable for decades. 3. DDT that is eaten is stored in fat tissues and in the milk of mammals. Birds and mammals, including man, can have concentrations of DDT in fat tissues and milk that are ten to a hundred times higher than the initial concentration sprayed. For instance, in 2005, the Center for Disease Control reported that DDT was still found in the blood of virtually all U.S. citizens, although at a lower concentration than the previous decade, even though DDT was banned in 1972. Also, the levels of DDT in salmon in the Columbia River are high enough that pregnant women are warned not to eat more than one serving per month of Columbia River salmon. 4. This is DDT’s “D50” concentration. A safety margin is added to the D50 concentration, and the resulting concentration is established as the safe concentration of DDT in water. This is the standard method for determining safe levels for any chemical in water. For humans, similar tests were conducted with rats in cages. 6. DDT is less successful in eliminating the mosquitoes that carry malaria in the tropics, where they can breed year-round. Using DDT in the tropics thus leads to strains of mosquitoes that are resistant to DDT. In Uganda, use of DDT to fight malaria has left Mr. Bosco Acope, the farmer, worse off financially and now he is worried about his family’s health. His neighbor’s chickens died during the first round of spraying, he doesn’t know if he may have some DDT traces in his body and or environment which could affect his health down the road. At the beginning it was Malaria, now it could turn out to be Malaria plus cancer, diabetes, impotence etc. Once again: Without the rest of the world using DDT, how can the third world be sure that if DDT happens to have side effects that are catastrophic, will the developed countries invest so much money to find the cure? Or will we have another “Sickle cell anemia” case? Remember that even if a cure is discovered, it doesn’t mean one can afford it. Aids has been more tragic in third world countries not because there is no medicine to prolong life with improved quality, but because of high cost and restrictions of producing cheaper brands due to PATENT laws.